Special Days: You are at the age when you are breaking away from me and don't want to cuddle much, so I love the days when you want to cuddle on the couch or our big comfy chair and watch movies together. They are rare so I hold to them tightly and look forward to the next one. I love that you include me in your life still. You let me know the things you are into and what you have outgrown. You talk to me about boys you like, people who are your friends and those that don't make the cut. I am enjoying watching you become more discerning about who you are friends with. You still like to include me in on your dreams, disappointments and achievements. I hope this never changes between us. Favorite Stories: I always like hearing about the times you get to spend with your grandparents and other family. Knowing that you are building bonds that will last a lifetime. Sharing stories that will unite you through the hard times and make you laugh in the sad times. Family is the 2nd most important thing in the world, falling right behind your relationship with our Savior. I never get tired of hearing about the games you play with them, how you tease each other, the way you are taller than all the grown women, etc. You light up when you talk about your relationships with other family members and I love that. Greatest Quotes: "Bella, (your cat) is so skinny she could be a WWE Diva!" What has impressed me most about you this month: Watching you take responsibility for your actions and not making so many excuses for bad choices and behavior, but instead simply saying "OK mommy" " Yea, I know I did...., I' ll work harder at it" and things of that nature. Do you always do it, no, but its a big improvement! 19 My dear brothers and sisters, take note of this: Everyone should be quick to listen, slow to speak and slow to become angry, 20 because human anger does not produce the righteousness that God desires. 21 Therefore, get rid of all moral filth and the evil that is so prevalent and humbly accept the word planted in you, which can save you. 22 Do not merely listen to the word, and so deceive yourselves. Do what it says. 23 Anyone who listens to the word but does not do what it says is like someone who looks at his face in a mirror 24 and, after looking at himself, goes away and immediately forgets what he looks like. 25 But whoever looks intently into the perfect law that gives freedom, and continues in it—not forgetting what they have heard, but doing it—they will be blessed in what they do. 1. Doing Girls Day of Beauty with you and the other AWANA TNT girls at church. Loved getting to do your nails and watching you be girly and building friendships with other believers. Warms my heart. 2. Watching you take care of your Daddy when he had knee surgery. Just shows how much of a servants heart you have! You can tell how worried you were about him and how thankful to God that you were that he was OK.
3.Helping you practice for your play: Cleanest Town in Texas. I love running lines with you and just having that time that is ours alone. You love to act and get on stage, but I can always see how nervous you get. Yet, you show bravery by doing your best and tackling your fears head on and not letting them define you. Special Days: You crawling into bed with me in the mornings telling me how much you need your mommy cuddle time, I know all too soon these moments will be a thing of the past so I am clinging to them. I also love picking you up from school and getting to spend that time alone with you for you to tell me how your day was, what you learned and what you made in class. I also get the run down on all your friends. Favorite Stories: Wow, were to start. You are the funny one of the family for sure. You always crack me up and make me smile. I love watching you act out wrestling in the living room, and I love play fighting with you on the bed. Nothing like getting knocked out for the 3 count by my little man. My favorite though is hearing you praise the Lord at church. I love listening to you sing songs to our Father that I know make His heart swell with joy and pride for you. You are very loving and accepting and it shows in how you interact with people. Greatest Quotes: "You're so pretty mommy and I love you oh so much" How can that not be my favorite? Seriously, of all the great things you have said this month, this one has been repeated and repeated by you and I think its because you know how much I love to hear it! I am so wrapped around your pinky its ridiculous you little crazy boy. What has impressed me most about you this month: your manners are getting so good. You are learning to express yourself better with your words and your speech in improving greatly. You don't stutter as much, which I secretly miss, because you are learning to take the time to think before you speak. 1. Monster Trucks baby! Oh yea, we came, we saw, we conquered. Ok well we didnt conquer but we saw flames, flips, donuts, jumps and all the crazy, cool things that are Monster Trucks. You still love the dog truck the best. 2. We picked up your China Bell puppy this month. Watching you with her, playing wit her, taking care of her, and trying to train her has been a blast to watch and help you with. You are learning responsibility and taking to it well with both your puppies! 3. Hearing you tell me all about the different countries that you got to learn about in daycare. 2 ladies from our church (Libby Alkire and Annette Uza) came and spoke to your class. Libby and Laura about Germany and Annette about Japan. OK I don't get all giddy when the monster trucks roll into town, but I do have a 5 year old son and a 9 year old nephew that do get pretty hysterical when the commercials start popping up and they cannot wait to go.Its all I hear about till I have the tickets in hand and we are heading out the door to the rally. What I do hate about going is the $30 ridiculous parking that our arrogant little Cowboys Stadium owner decides to charge. Irritates the crap out of me, especially considering you still walk a mile to get to the front door!~ ggrrr. The kids did have a blast though and are already talking about next year. The both love the Dalmatian truck, but just like last year it broke down again this year. Very disappointing. Of course all the truck flips, broken axles, dripping gas with explosions, always make up for a dog that wouldn't perform her tricks! So we have been studying fire safety this past week and will continue into the next month. My daughter is learning to cook and honestly we need a little fire safety reminder right about now! I have included a few things we will be going over and a great website to get some FREE educational downloads with worksheets and complete lessons plans. Happy Hunting! • Class A extinguishers are for ordinary combustible materials such as paper, wood, cardboard, and most plastics. The numerical rating on these types of extinguishers indicates the amount of water it holds and the amount of fire it can extinguish. • Class B fires involve flammable or combustible liquids such as gasoline, kerosene, grease and oil. The numerical rating for class B extinguishers indicates the approximate number of square feet of fire it can extinguish. • Class C fires involve electrical equipment, such as appliances, wiring, circuit breakers and outlets. Never use water to extinguish class C fires - the risk of electrical shock is far too great! Class C extinguishers do not have a numerical rating. The C classification means the extinguishing agent is non-conductive. • Class D fire extinguishers are commonly found in a chemical laboratory. They are for fires that involve combustible metals, such as magnesium, titanium, potassium and sodium. These types of extinguishers also have no numerical rating, nor are they given a multi-purpose rating - they are designed for class D fires only. • Class K fires are fires that involve vegetable oils, animal oils, or fats in cooking appliances. This is for commercial kitchens, including those found in restaurants, cafeterias, and caterers. Establishing a time each day to spend with God. Work through the S.O.A.P. method each day, learning to slow down and look deeper into God’s Word. Reach out! Share with those in your group what you are learning. If you’re not apart of a group, then please share with us on the blog or Facebook page what you are learning. We love hearing from you! Keep in mind: We are working on establishing the discipline of being in God’s Word on a regular basis. If you miss a day here or there, give yourself grace and make a point to be in God’s Word the next day. Don’t let Satan discourage you and make you feel bad about missing a day or two. Be victories and get back into God’s Word! Satan fears nothing more than a woman who is in God’s Word! Digging a little deeper: For those of you who would like further study into these verses this week, I’ve provided a few resources below for you to use to help you dig a little deeper. Not into printing the Ephesians Estudy guide out? I’m so excited to begin week 2 with each of you! We have some exciting verses to read together! I’ll be praying over all of you as you make time to spend in God’s Word. Question: What makes you most excited when you think about being one of God’s princesses? Remembering how it all started is good for my soul. I left that restaurant filled with a thankful heart for all God has done and all He is still doing in our life and marriage together. That simple story refreshed my thinking and commitment towards our covenant relationship before God. I was humbled all over again when I recalled the fact that the development and sustaining of our relationship is all God’s doing, because we were, and are, two very imperfect people. In the same way, it is good and right to recall those early days when God moved in my life to bring me into a saving relationship with Him. Remembering who we were before Christ. Our story begins there, and we should tell our story often. No, not in a living-in-the-past sort of way, but in admiration and awe of what God sent Jesus to do on our behalf! Paul has done just that for us in our first two weeks in Ephesians. He does well to remember, and then to remind us of our spiritual blessings in Christ. And then, get this: because he has HEARD of their faith, he is moved to respond in worship to the One who made it all possible. Wow. I love how telling the story of what Jesus has done for us can change our thinking instantly. Instead of focusing on our worldly circumstances, it wallpapers truth on the walls of our minds, bringing us to new levels of thankfulness and commitment in our relationship with Him. And the effects don’t stop there! Our testimonies can move others to worship our Savior! Isn’t that an amazing thought?! As we move into week three of our study, I hope you are as excited as I am to share with others what God has done for us. You can start by sharing with your Good Morning Girls group this week! My prayer is that we, like the Ephesians, will be found faithful, and that the reminder of the gospel impacts us in such a way that we can’t keep quiet about what God has done! Digging a little deeper: For those of you who would like to learn more about these verses this week, I’ve provided a few resources below for you to use to help you…….dig a little deeper! Question: Looking back, how has God moved in your life? Labels…….words that we use to describe ourselves…..words that we use to unite or divide ourselves. Wife, mother, daughter, friend, married, divorced, single, teacher, doctor, waitress, home school mom, public school mom, private school mom, stay at home mom, working mom, Baptist, Methodist, Lutheran, Presbyterian, Non-Denominational, Republican, Democrat and the lists go on and on. My sweet sisters in Christ, God calls us to UNITY! Let us throw off what divides us and focus on what UNITES us! Do you realize THIS VERY MESSAGE OF UNITY……uniting the Jews and Gentiles together is the reason why Paul is in jail? This message of unity is important. It’s important to Paul……he went to prison for it. It’s important to Jesus…..he went to the cross for it. If this message of unity is so important to them….it should be important to us too. Let’s focus on what unites us rather than what divides us. We are stronger as ONE! When the body of Christ decides its more important to unite than to divide……our world changes. We’ve seen this happen before in the early church, they found a way to unite and work together….because they did our lives are changed because of it. Want to know a secret? Working together as the body of Christ, the way we were designed to work, still changes lives……still changes our world. Working as ONE is powerful! Can I be real honest with you? I don’t like the labels that we wear as Christian women. They aren’t attractive. They cause division. They cause pride. They cause hurt. Sometimes I feel like we are more focused on our labels than we are in reaching a world that doesn’t know our Lord. If we can’t love each other in spite of our differences……how can we show the world God’s love? I want to set a better example for the next generation…..I only want to wear one label…..this one. Will you join me? Together, let’s set a better example for those who are watching us. (our children, the next generation of young Christian women, the unbelieving world) Let’s show them how to love others well. Let’s show them how to love those who are different from us. Let’s focus on what unifies us……..Jesus. Let’s follow His example. We are one in Christ…..what does that mean? This week we will find out as we read Ephesians 2:11-22. “May the all be one,” Jesus prayed. Question: How can we get better at being “one in Christ” with our fellow Christian brothers and sisters? This past weekend I had the pleasure of speaking at Sally Clarkson’s Mom Heart Conference in Irvine, Ca! It was such an honor to be able to spend some time with my dear friend, Sally and have the opportunity to meet some new friends too! Thanks to everyone who stopped by to say “Hello” and let me know that you’re a Good Morning Girl! I loved meeting each and everyone of you!!! You BLESSED me with your testimonies of what God is doing through your life because you are apart of Good Morning Girls and in His Word! Being in God’s Word truly is life-changing! You see what’s on the outside is different but their hearts are the same. The cross says they are both sinners in need of God’s grace and forgiveness. How Can We Have Peace With Our Sisters in Christ? Peace is a key word in Ephesians 2:11-22. It is repeated four times. Peace begins with God. We must first make peace with him before we can find peace with one another. During Bible times, there was a huge amount of hostility between the Jews and Gentiles. They literally had a wall in the temple that seperated the Jews from the Gentiles. The word Gentile in the greek is “ethnos” from which the word “ethnic” is derived. Jesus put to death hostility in the body of Christ! It is not his will for us to war with one another…but the truth is…there’s always that one chick that kinda gets under your skin…and one thing I have learned is, that woman was put in my life for a reason. Like sand paper, it hurts to rub up against her but she smoothes my edges and teaches me how to give grace. Are you experiencing contention with a sister in Christ? Extend to her grace. Jesus came to bring you peace with God and to enable you to have peace with your sisters in Christ! Just as it breaks our hearts as mothers to watch our children argue and fight, it breaks the heart of God to see hostility between two of his children. Go to God – make peace with him. Go to your sister – make peace with her. And if it’s not accepted by your sister in Christ – you will have peace in your heart knowing you did all that you could to make peace. I am teaching my sixth grade student conversions from the customary system (inches, feet, miles, cups, ounces) to the metric system (liters, centimeters, grams). The hardest part of teaching the metric system is that my daughter does not have any concept of how big a centimeter is, or how far a kilometer is. She does not have a reference for it. 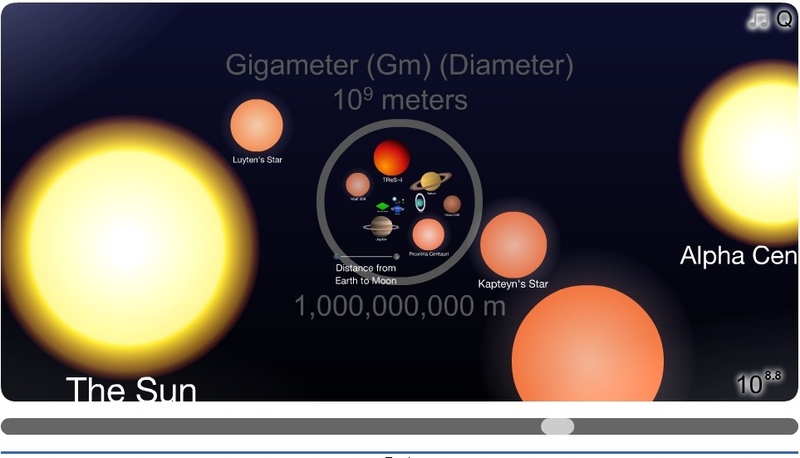 The Scale of the Universe is a neat wonderful Flash app. Zoom in and it shows you the smallest things in the universe—smaller than atoms, smaller than electrons—and their metric measurements. Today I started a bible study on Ephesians hosted by good morning girls. If you would like to join in make sure to go to www.goodmorninggirls.org to download the Ephesians E-book! It's a free download. We can use this FB group for discussions each week and to hold everyone accountable! Welcome to week 1 of our 12 week Good Morning Girls bible study in the book of Ephesians! I’m so glad YOU are here! This past enrollment session has been a whirlwind for me……..God is doing amazing things through GMG! I was thinking about it all day today as I was trying to add women into leader groups, answer emails and reply to Facebook requests. As I sat amazed at all the women God has brought to this current session, over 5,000 from ALL over the world, I know why He is moving so powerfully. It doesn’t have anything to do with me but rather with YOU and His Word!!! God is passionate about His Word reaching “to the ends of the earth” and he’s passionate about His daughters getting to know Him better and deepening THEIR relationship with Him. God loves you and He desires for you to spend quality time each day reading His Word. Each and every day we have a choice, will we choose to spend time with God today? My prayer for all of us is……YES! As we embark on this 12 week journey together, I pray we will develop the discipline of being in God’s Word on a daily basis. I pray each day we will choose God. If we could picture the future and see the accumulation of our decisions, how differently would we live today? This insightful illustration compels us to consider every little decision we make. Pray BEFORE you read that day’s assigned scriptures. Pray that God will speak to you and help you understand what you are reading. Rising early to spend time with God BEFORE the kids get up, or purposefully set aside time in your day to spend with Him. You establish the time and then work on sticking to it. Work through the S.O.A.P. method as you learn to dig deeper and focus on the assigned verses for that day. Reach out, share what you are reading and learning with your Good Morning Girls group. If you don’t have a group, I’d LOVE for you to share on our Facebook page or in our comment area on our blog. Keep in mind: Good Morning Girls is a place of grace–college students, nursing moms, working moms, homeschooling moms, room moms, grandma’s caring for their grandchildren or ailing parents, and women from all walks of life are here! We women are busy and doers! We need this time to refuel and recharge–but this needs to be a time of peace–NO pressure- do what time allows. Better a little time in God’s Word than no time at all. Please know that I’ll be praying for all of you this week as you begin reading in Ephesians and discussing the verses in your groups. If you aren’t in a group, then I invite you to share with us what you are learning either in our comment section here on our blog or on our Facebook page! I’ll see you back here on Wednesday and Jen, one of our new contributors, will have a post for you this coming Friday! Woohoo! Can’t wait! Victorious, overcomer, relinquish that heavy SIGH! I’ve given you a brand new start. Its beginning to see the beauty of new fruits! We all love Valentine's Day. There is something magically and lovely about it. People go out of their way to be kind, show love and appreciation to each other. How I wish these attitudes of brotherhood/sisterhood would stay year round as the Lord wants them too. Well for Valentine's Day we like to make learning FUN! So for math we decided to take it back a few notches and do estimations. What better thing to estimate than candy on V-Day? We had tons of candy hearts, Hershey kisses, plain M&M's and Peanut Butter M&M's to try and estimate. I made a very fancy little grid to keep track of our estimates. I know fancy right! Don't get all excited you can make one too with your specials note cards and pens. Tehe. As you can tell estimations are not really our thing. We are horrendous at it, but hey we had fun. As you can tell by the drool coming out from my daughter she was ready to get things going so she could devour the math! Here they are really thinking, counting, comparing and ultimately giving me a number that they hope will be accurate. Whoever got the closest to all candies got to keep that jar. My baby cant count higher than 20 in order so it was humerus to my daughter to watch him keep going after that. We got to thousands, millions, then to tens, it was funny actually. I made sure we gave our numbers first so he would have a good guess. Here is my son letting me know that 200 pieces were in this one. I made them break it down by category of candy and then we added up their numbers to see if that was the one they wanted to stick with. After we recorded all our guess it was time to count. My little girl helped with the grouping and multiplying part and my youngest was responsible for putting them back in the right container. After all the tallying here are our numbers....yep we bite at this game. We each won in one catagory but none of us even got close. We are a pathetic bunch, but a full candy hyper bunch! Every once in a while I get the joy of doing a review for a company. This time it was for the online math site called ALEKS. What is ALEKS, well I am glad you asked me that. ALEKS is an acronym that stands for "Assessment and Learning in Knowledge Spaces." Even better, its a math program.Who doesn't get excited about math! Oh yea, me. All the more reason why I need a fabulous program for my kids. My math skills are notorious and my kids adore math. Weird, I know but true. So when I ALEKS appears in my little inbox I was thrilled. ALEKS is a complete curriculum that requires no textbook and offers free assessment testing. Its designed for use for 3rd grade till High School students. This program is completely customized to your child alone.They do not have to repeat the things they already know, like you would with a typical math program, which is fabulous. If your child scores less than 20%, they will be recommended to go down a level, or if they score more than 80%, they will be recommended to move up a level.Which is great for parents who just don't know what level they should place their child in. This program takes the guess work out. After your child is set up where they need to be, they will be able to take a look at their pie chart. I love the pie chart and so does my daughter. She is a visual learner so seeing what has been completed and what needs to be finished really encourages her. My daughter really dislikes that you cannot see how to work out a problem without them giving you the answer. When you select help on a question you are having problems with, it shows you how to work that exact problem, not one similar. That has been my daughters biggest complaint. She wants to see examples before working on the problems then do problems, but if this site does that, we have not figured it out yet. The cost for a monthly subscription is $19.95 a month, $99.95 for six months or $179.95 for a year. There is a multiple child discount available. The year access price is compatible with other math computer programs that are popular with homeschoolers. You can get a FREE 2 Month Trial by going HERE. Today I spent the day with my 12 yr old daughter and 5 year old son doing an Old Testament Walk Through The Bible! It went on from 9-3 and it was fabulous! I was a little hesitant about letting my kids join in, but was assured it was done in a way that even kids can understand. My 5 year old lost interest about 2 hours into it, but my daughter LOVED IT! The Walk Through The Bible OT is filled with all sorts of fabulous resources. There is a 30 day devotional that looks wonderful. Lots of review and supporting material. And all I can say about the challenge's are they will benefit you greatly. We loved how they show the overlap of the different books of the Old Testament. There are times when I am reading and I am like didn't I just read that . Well, no just something very similar in a book written at the same times. Its comforting when I look back and can see different books and know they are covering the same topics, history etc in life that reenforces that they are God inspired and did actually occur. The struture section is simply amazing. Then we get to all the great hand signs for the books. This book really looks at every level and type of learner there is.They work on the visual learner, the auditory learner, the hands on learner, no matter what your style you are covered. We LOVED the hand signs. Practice them at home and even made a video. Now from my understanding its copyrighted so just to be safe I did not upload it. All I can say is its amazing and my 5 year old and 12 year old can easily walk through the old testament with me by doing the signs and words!AMAZING!! Now when you are doing your hand signs and saying your words its important that you are pointing to your imaginary map you have on the ground to help you with location. This is for the creative. visual folks out there for sure. It really does help though. you are pointing and then your like, oh yea that's Ur over there cause the Mediterranean is to my left. Like i said AMAZING! As a gift for doing so well and answering all the question AND knowing all 77 signs, the leader, Vince, gave my little girl a Color Through the Bible book which cover both the Old and New Testaments. As you can tell she immediately started coloring when we got home. This program really brought to life the Old Testament for us in a way that we never could have on our own. I highly recommend that anyone that can do this, do it!I am not giving it justice. I am not great at words and defiantly not a sales man, but WOW the real life application that this class has on your life will utterly amaze you. Happy Walking! So my princess got the opportunity to be in the National Spelling Bee. She did not win, but she did make it through till the 3rd round. Either way I was very proud of her and impressed with how hard she studied and how dedicated she was to making it happen for her. We practiced her words every day for 2 straight months before the competition and she was ready. There were close to 500 words she had to know and she went from knowing a little under half to only missing about 20 on a regular basis. That in itself is impressive. There were some words I had to go and google to see what they meant and how they were pronounced. She was so nervous the day of the competition and we got to the place early just so she could get a feel of the building and comfortable. I got elected to be one of the judges which helped her out with comfort level and gave her someone to look at when saying her words. This was really hard on my because when she messed up I wanted so bad to help her out and I could not. :( She knew as soon as she messed up and big ol crocodile tears started rolling down her cheeks. I felt miserable for her and could not even go to her. Looking back on it, the adventure was well worth the sacrifices made in our time, our schedule and other work that got placed on hold. She learned over 500 new words and greatly expanded her vocabulary. Her favorite thing to say is " I concur" a word she loves that will stick with her forever! Depending on when you started the academic year the 100th day of school should be coming up any day now. To mark this milestone, we present 100 ideas, some for individual subject areas and others for a whole class or school to do together. 1. List 100 things you’ve learned this year, whether academic or personal. 2. Create a timeline of your life that lists 100 events, beginning with your earliest memories. 3. Make and illustrate a list of 100 things you would like to accomplish in your lifetime. 4. What 100 places would you like to visit before you die? 5. Make predictions about what life will be like 100 years from now. Be specific! 6. Make yourself a 100-day to-do list. And stick to it! 9. Come up with a 100-day challenge for yourself, doing the activity of your choice for 100 consecutive days. You might read for an hour each day, pursue a religious or spiritual practice, exercise, write in a journal, etc. Noah Scalin’s 365 project might inspire you: This blog features artists who have committed to doing everything from drawing a bird image to photographing a gnome to writing a haiku to decorating fingernails every day for 365 days. 10. Or, take a 100-hour challenge in which you don’t do something, whether it means going without Facebook, caffeine, television or gossip. 11. The You’re the Boss blog post “How to Make 100 Enemies Lists” tells about the 100 enemies someone made while opening a new restaurant. Write a personal “100 people” list (though, of course, we don’t recommend “enemies”). Maybe … 100 people who have inspired or taught you, 100 people you’d like to meet or 100 people you remember from your past? 12. Celebrate a historical figure, artist, writer or athlete you admire who was born at least 100 years ago. Come up with a project to honor him or her. 13. List 100 ways to spend or donate $100. 14. Make a list of 100 key events in history that you have learned about or would like to learn about. 15. Bury a time capsule filled with relevant items from today, along with a letter addressed to people in 2111 telling what life was like in 2011. 16. Make a list of who you think are the most 100 influential people. 17. Consider what life was like in a historical era, like during the first 100 days of Franklin D. Roosevelt’s first term. How is life different now? Sketch a mock slide show of 100 images that could be featured on NYTimes.com or in a museum to capture contemporary life, politics, technology and culture. 18. Watch this video about the 100th anniversary of the Ford Model T. Then sketch a car or other vehicle that might exist 100 years from now and that would share the Model T’s popularity, practicality and relative affordability. 19. Research the history of a local building, park, neighborhood or other place that is 100 years old or more, like New York’s Penn Station. 20. Can you correctly label 100 countries, states, cities, seas, rivers, mountain ranges or other features on a map of the world or of your own continent, region or country? 21. Use a map to find locations that are exactly 100 miles north, east, south and west of where you live. Learn about each place and write a blurb about it that could be featured in a guidebook. 22.How much do you buy? Make a list of everything you spend money on until you get to 100 items. How can you go on a “shopping diet”. 23. Check out the list of 100 Notable Books from 2010 to see how many you have read. Choose titles that interest you and perhaps consult other “top 100” book lists like this or this or this to construct a 100-book reading list for yourself. 24. Create a list of 100 books you have already read, perhaps in order of preference. Or take a poll of your class’s or school’s students to create a list of “100 Great Books” to choose from to form book clubs. 25. List and track 100 new vocabulary words you’ve learned or would like to learn. Not my idea, but loved it! 26. Take a poll of 100 people on a grammar, punctuation or spelling challenge or question they have, then take the most common and create a student handbook or game that features common errors and questions and gives answers. 27. Find 100 lively, interesting or vivid descriptions and collect them in a writer’s notebook. 28. Write a short story set 100 days, weeks, months or years in the future. 29. Write a short story or poem of exactly 100 words. 30. Write a 100-word review of something you watched — whether a football or hockey game, a television show, a concert or a movie. 31. List 100 words you know in a foreign language, along with the English translations. 32. Count to 100 in a foreign language. 33. List 100 idioms someone new to the English language might be confused by. 34. Host a 100-page “read-aloud” of a book you choose as a group. Invite different readers from all over the school community, and have each read a page. English classes can be invited to come listen and participate. 35. Write a list of the 100 most beautiful (or the 100 ugliest) words you can think of. Illustrate them or challenge -yourself to write a story or poem using as many as you can. 36. As a class or school activity, plan and create 100 mini-articles, news briefs, photos, interviews and/or short videos about goings-on at your school or in your community this school year. Consider presenting them as a blog. 38. Look at the most recent 100 posts on TimesWire at different points in the day or over the course of a week, comparing the number and subjects of posts that appear at different times. Are there any patterns? If so, what do they suggest about the nature of news and about The Times? 39. Play a matching game with 100 Times headlines and articles, using these instructions and multiple copies of this sheet. 40. Search The Times to find interesting percentage-based statistics. (Percent means “per hundred,” after all.) 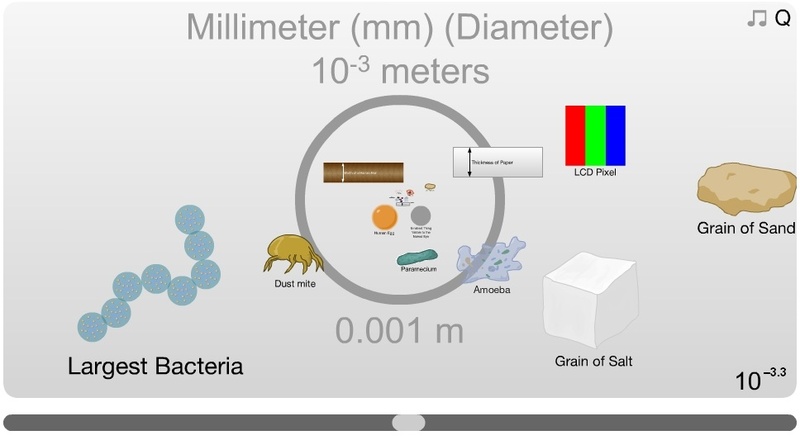 Create an infographic with your most interesting findings. 41. Convert the percentages in United States Census data to present facts about Americans by showing how many people out of 100 have specific levels of education, income and so on. 42. Pick a company that has been mentioned in The Times’s business coverage several times in the past 100 days and get its stock prices over that time period. Make a graph that shows the changes in price over the 100 days. Research the price changes, then add short explanatory notes to the graph. 43.. Solve the Puzzle of 100 Hats. 44. Plan a weekend for visitors to your hometown in which they see important attractions. The catch? They can spend only $100, including food and accommodations. 45. Do a Times search on the number 100 or multiples of 100 (like 100,000 or 100,000,000, etc.). What does the variety tell you? How would you help younger students make sense of the differences in magnitude in these numbers, using examples from the newspaper? 46. from then until the present, marking the years in increments of 100. 47. Learn about the Nasdaq 100 Index. 48. Look at President Obama’s 2011 proposed budget in this chart. If the total budget represents a sum of 49, how many parts of that 100 go to each area listed by name (national defense, health, education, etc.)? Consider how you would assign those 100 parts if you were in charge of the federal budget. Draw a new chart that clearly shows how the 100 parts add up. 50. Compare the cost of basic grocery items in 1911 with today’s prices. 51. Calculate the cost of 100 items, like 100 cans of soda, pedigreed puppies, economy cars, sports cars, European vacations, boxes of crayons, brooms, movie tickets or pillows, and create an infographic that shows the differences. 52. Make a list of 100 endangered species and choose one to research. Find 99 students to join you and create a school gallery of images and information together. 53. Create a list of 100 inventions that changed the world. Which do you think should be No. 1? Why? 54. With your classmates, create a list of 100 ways to “go green” at home, at school and in your community. Each class member might then commit to one or more of the ideas and chronicle his or her efforts. 55. Brainstorm 100 questions you and your classmates have about science topics, whether about the natural world, our bodies and minds, or the cosmos. Adopt a question to research, or pose one to a scientist in the field. 56. Read 100 installments of the Q. and A. or Really? columns in Science Times, or posts on the Well blog. Give a talk on what you learned about science or health. 57. Check out the Secrets of the Centenarians, then ask older people you know about what they think helps people live to an old age. 58. Try the locavore diet, eating only food that was produced within 100 miles of your home, for at least 100 days. 59. Make a list of 100 foods or recipes you’d like to try. 60. Learn about the 100 fastest supercomputers in the world. 61. Prepare an afternoon snack that has only 100 calories. If everyone in your class does this, you can then have a tasting event in class, with cards that detail each snack’s recipe and nutritional value. 62. Set a class challenge for students to bring in 100 items from the natural world for observation. 63. If you’ve never experimented with Twitter, try it. Though a tweet’s limit is 140 characters, many recommend writing shorter Twitter messages so that there’s room for “retweeting” (the practice of rebroadcasting someone else’s message). Experiment with 100-character posts that pass on something interesting or useful to others, or that tell what you’ve learned or ask a question. 65. Create wearable art with 100 of a single item, like paper clips, old socks, dried pasta, beads, candy, Legos or rubber duckies. 66. Look at the photo of the 100 chairs in the 100 days project. Come up with a “100 in 100 Days” project of your own. 67. What are the 100 best movies of the past decade? 68. If you could design a 100-acre park, what features would it have? Sketch it on a big sheet of butcher paper. 69. Collaborate with others on a top 100 list of best paintings. 70. According to music critics, what are the 100 greatest albums and bands in history? Listen to five unfamiliar acts or albums on these lists. Are you a new fan? 72. Come up with 100 exercises and/or dance moves to teach a group to perform as part of gym class. 73. Revisit Usain Bolt’s world record in the 100-meter sprint in the 2008 Olympics. Then go to the track and run 100 meters. 74. Learn about the Bighorn Trail 100, a 100-mile race in the mountains of northeastern Wyoming. Then organize a 100-something run/walk in your area — 100 blocks, a run that passes 100 park benches, etc. 75. List the top 100 athletes in the game of your choice since the time you started following sports. Or go for the top 100 of the past 100 years. I recommend Hockey! 76. Read about baseball players who have played 100 games (or more) in a season in their position. What athletic records in a sport you’re interested in can be measured in 100s? 77. Collect 100 school-supply items like pencils or glue sticks for communal use at your school. 78. Collect $1 each from 100 students, then vote on a creative way to use that money to help an individual or group. 79. Hold a collection drive that has a “100” theme, in which people donate 100 (or multiples thereof) canned goods, coats, pairs of shoes, children’s books and so on. Find a food bank or other charity to give the goods to. 80. Host a learn-a-thon in which people spend a combined total of 100 hours teaching others to do something such as cooking, drawing, singing, knitting, playing a sport, and so on. As a Saturday event, each teacher could have a “station” that learners circulate through. 81. Host an event in which 100 people tell important stories from their lives, in a manageable configuration, like 10 groups of 10 people who each tell a story while the others listen. Here are some ideas to get the stories flowing. 82. Organize a “100 Percent Off Sale” in which people donate items to be taken or traded by others in order to re-use things rather than buy them new. 83. Start a schoolwide campaign to get students to commit to reading 100 pages, doing 100 practice problems or learning the names and capitals of 100 countries over the course of a week. 84. Hold a puzzle tournament using The Times’s crosswords (or our Student Crosswords) or games like Sudoku or SET. The time limit? 100 minutes, of course. 85. Contribute 100 total hours of community service to a worthy local project. When you reach 100 hours, write a journal entry or letter to the organization with whom you volunteer, expressing what the experience has taught you. 86. Have each member of your class write down a list of community service-related jobs they’ve done in the last year with an estimate of the hours they’ve spent. How quickly can everyone’s work together add up to 100? 87. Have a 100-lap or -meter race or relay to raise money for a charity. 88. Organize a cleanup day in a park or other community area in which volunteers are challenged to fill 100 garbage bags with trash. What ideas do you have for a 100th Day celebration? Ideas are a mix from the New York Times and few of our own that we had and wanted to add to each category. Hope you enjoy!